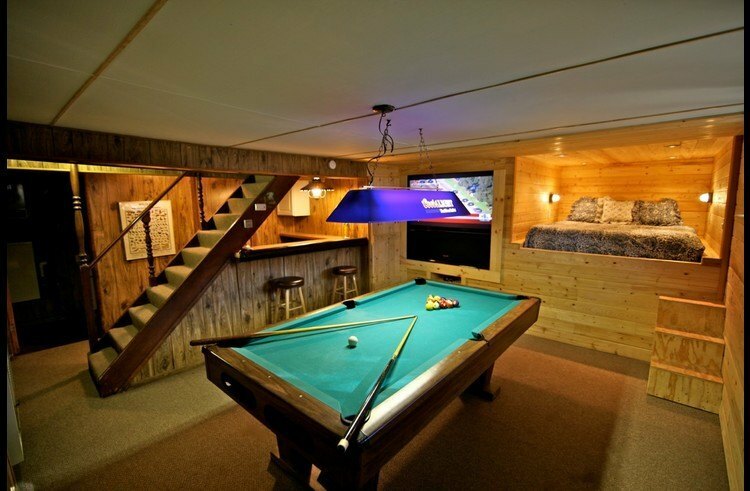 Creekside Lodge - 5 bedrooms with a Pool Table! 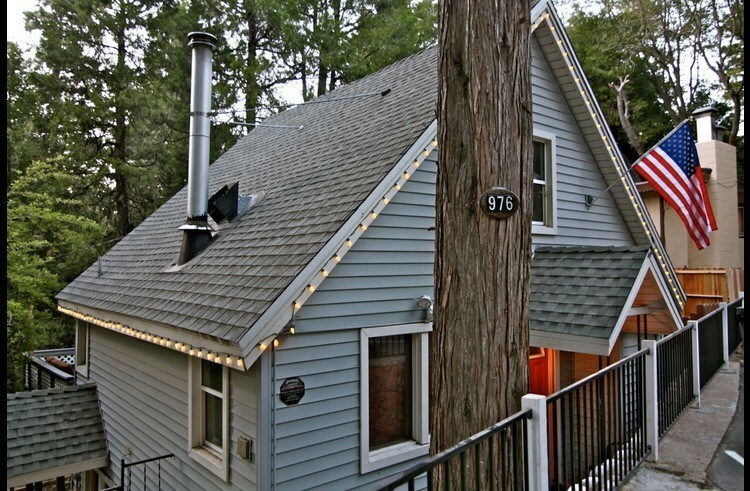 The Creekside Lodge is a quaint cabin built in 1956. 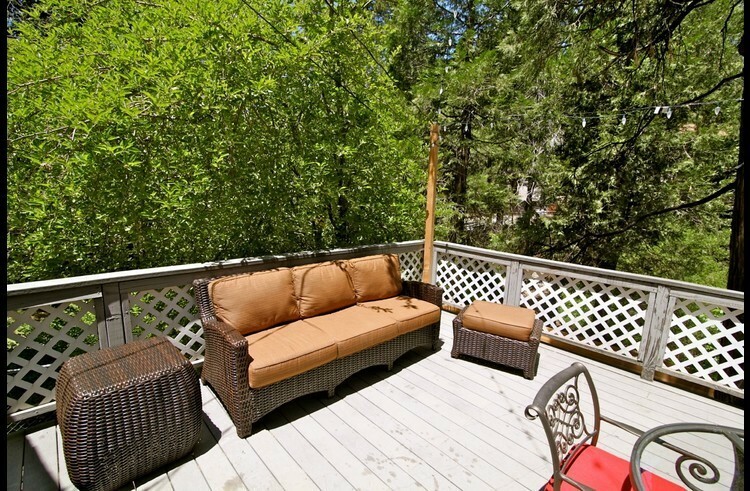 This is a small tri-level 5 bedroom, 2.5 bath Lodge located on a quiet cul-de-sac street. It is adjacent to one of our other properties - the Swiss Chalet. 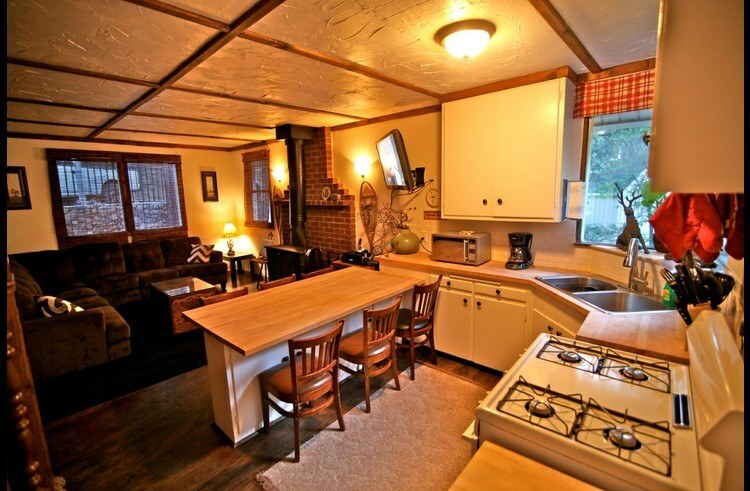 If you have a large group and want to book two cabins right next to each other, this is a great opportunity. 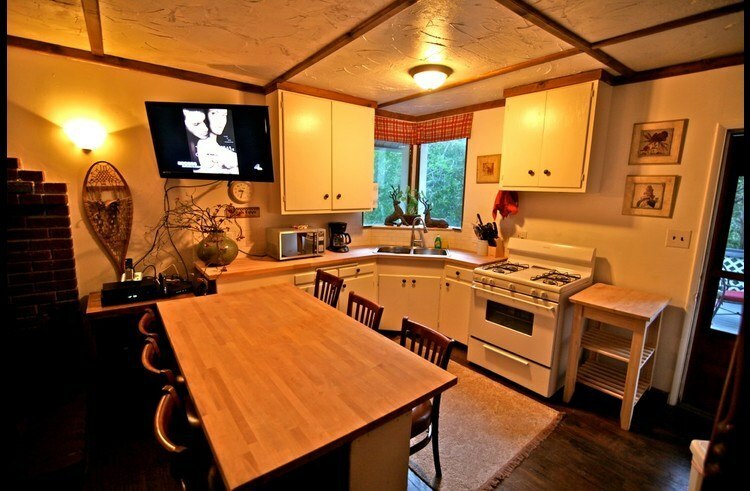 Entry level: Kitchen, dining and living area all together with wood burning stove and flat screen TV. 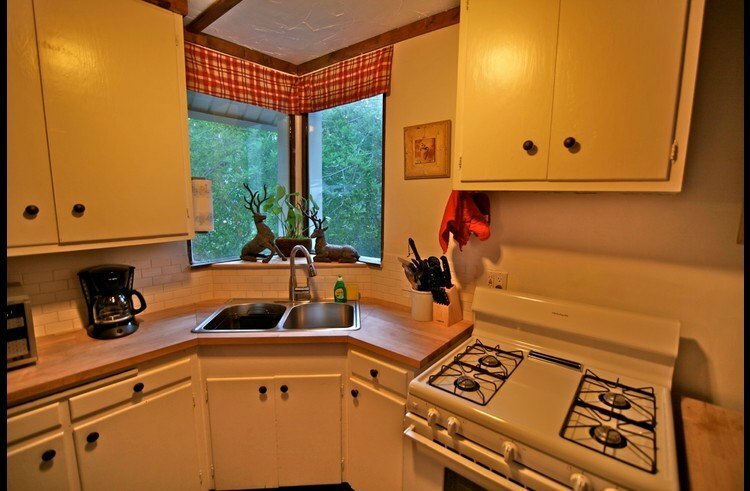 The living space is cozy and quaint with the peninsula counter top doubling as the dining room table. 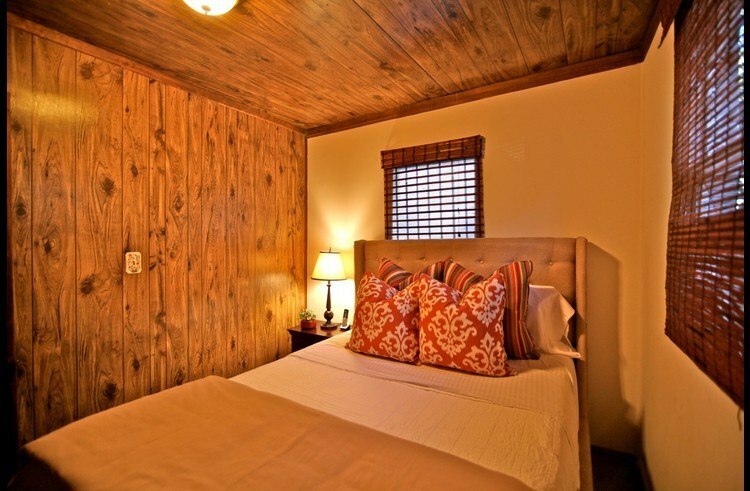 2 small guest rooms on main level. Guest room 1 has a queen size bed. Guest room 2 has a full size bed. 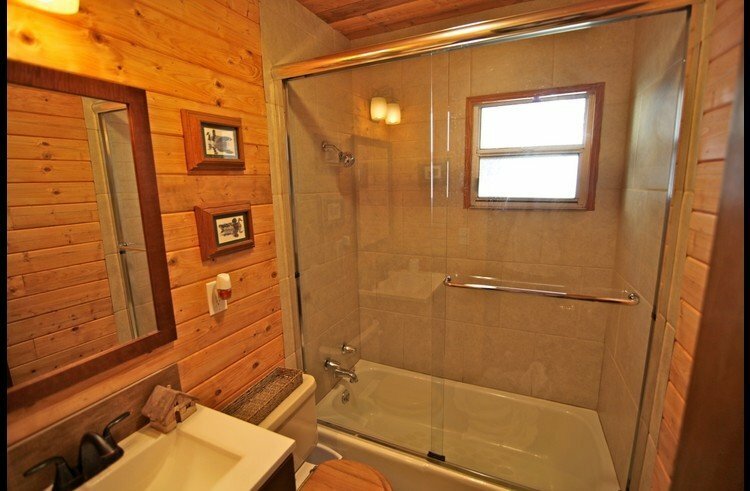 Full bath on the main level. 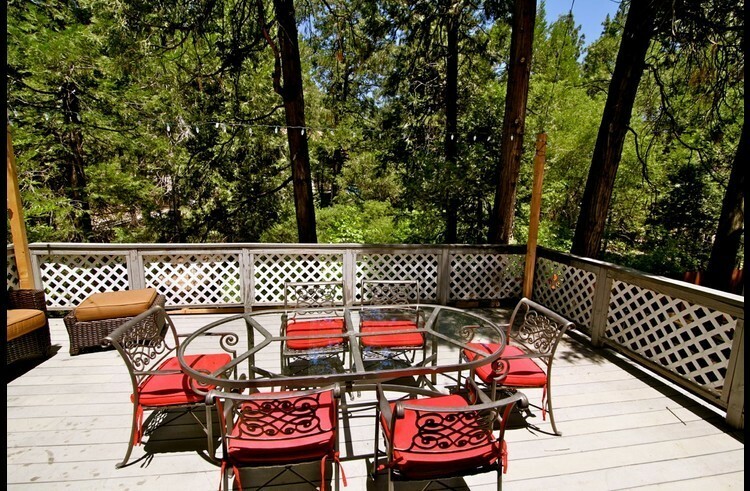 Large deck off the kitchen with view of the forest and your own apple tree to enjoy. BBQ on the deck. 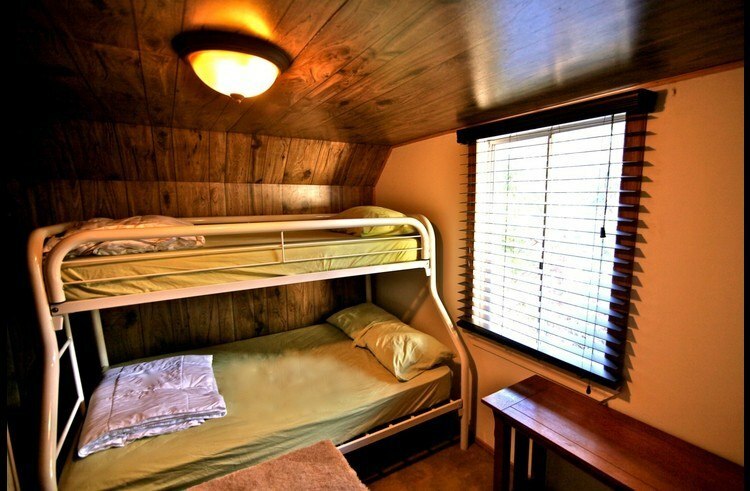 Upper level: Guest room 3 has a bunk bed with a full size bed on the bottom and a twin size bed on the top. 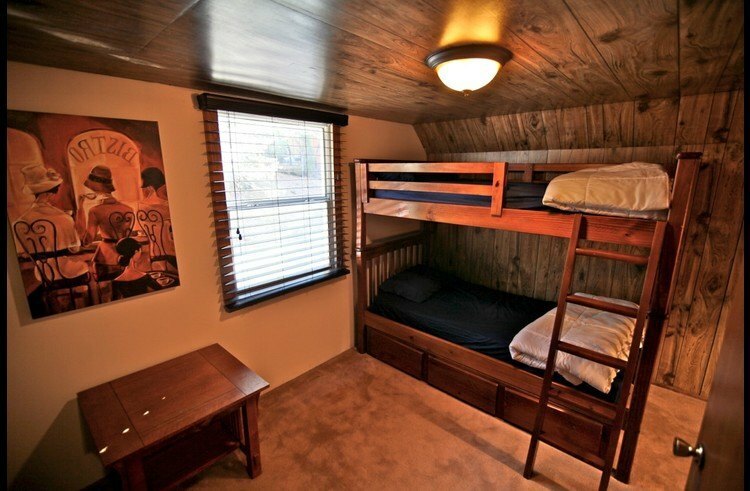 Guest room 4 has a bunk bed with 2 twins beds and a separate twin size bed. 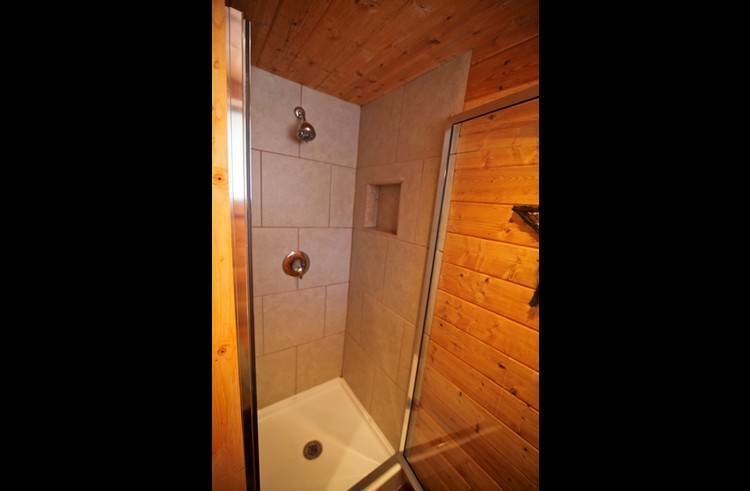 Bathroom with shower on the upper level. 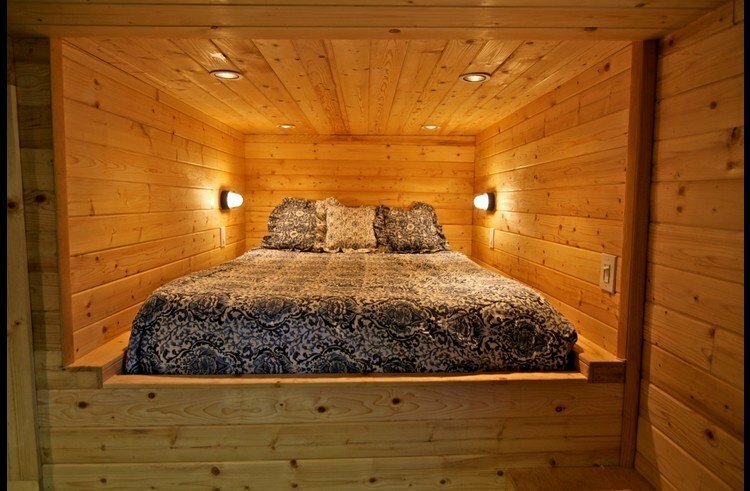 Lower Level: Guest room 5 with a built-in queen size bed. 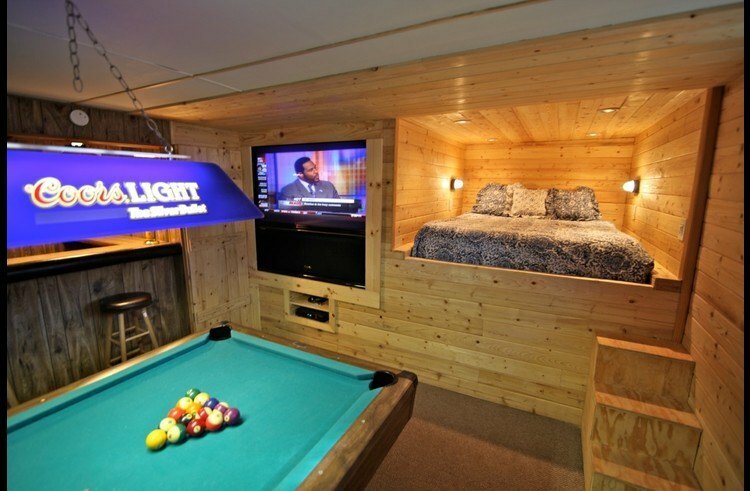 Room also has a pool table, bar and 60" built-in TV. Laundry room with a half bath located on the lower level. 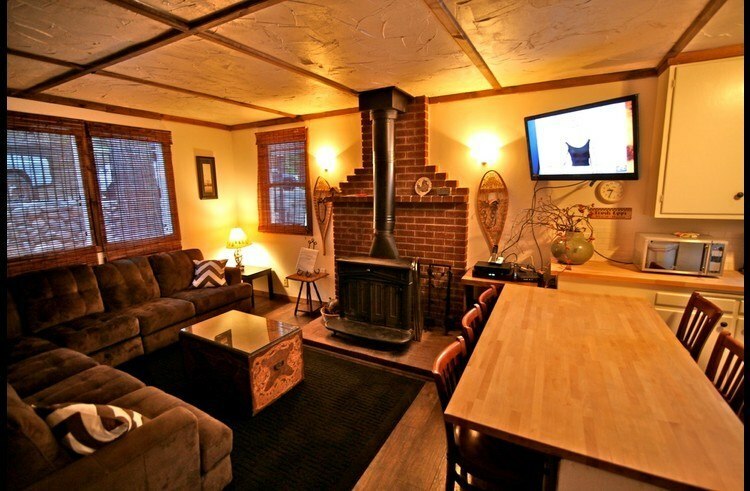 The Creekside Lodge has wall heaters, but no air conditioning. 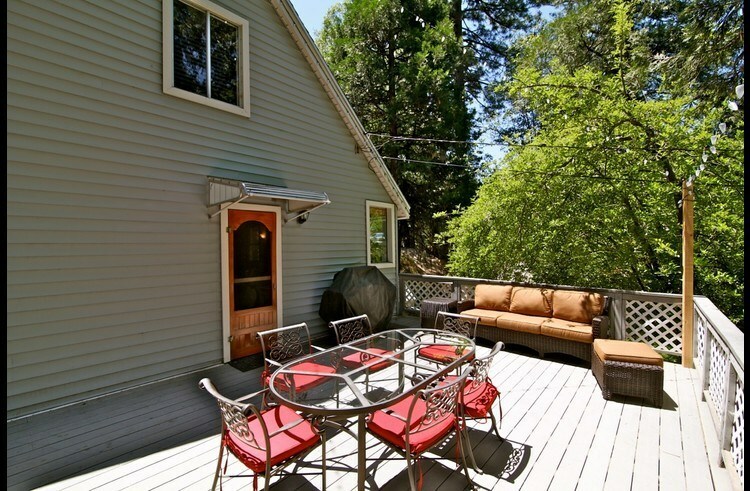 Outside: In addition to the large deck, there is a fenced backyard with a bocce ball court. The end of the street is open to the forest...great for kids to play. There is a seasonal creek that runs behind the property. Short walk from the property to a nice hike through the Dogwood Campground. Maximum occupancy 10 guests per County code enforcement. Maximum parking 3 vehicles. Maximum occupancy 12 per County code enforcement. Even though we never met Grant. Even from a distance he was very helpful with any questions we needed and responded within minutes of any question we had. He was very accommodating every step of the way. We had a nice stay here and no complaints. Took a group of 6 up there and on the last day, each one (including myself) said they didn't wanna leave! 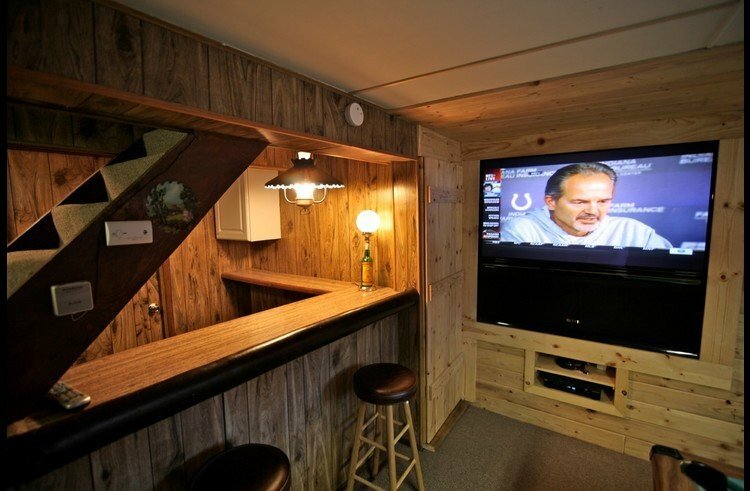 We all loved the old school feel of the cabin and had the best time playing video games on the in-wall TV downstairs or grilling out on the back porch. Great time all around, heck we might make this an annual trip so we can do it again! Grant was very nice and accomadating. The home is a unique retreat right by the lake. Definitely a memorable experience and we would highly recommend to check it out! Grant was an incredible host! The house was super cozy (just what my group and I were looking for) and comfortable! There was plenty of sleeping space, the furniture was all so nice. Especially on the back deck. We really enjoyed the fire pit! The are is so woodsy and beautiful. The neighbors (I didn't quite catch their names) were so polite and even gave us some tips on some places we could explore. Grant provided us with more than we could have imagined and We are so grateful. We will definitely be renting from Grant again in the near future! The lodge is really warm. We really enjoyed the stay. 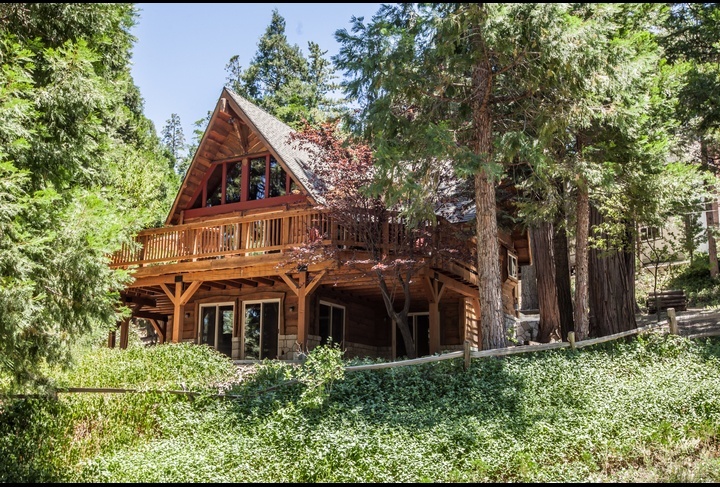 The cabin and location of this property is perfect, Grant was a wonderful host that responded almost immediately when needed. 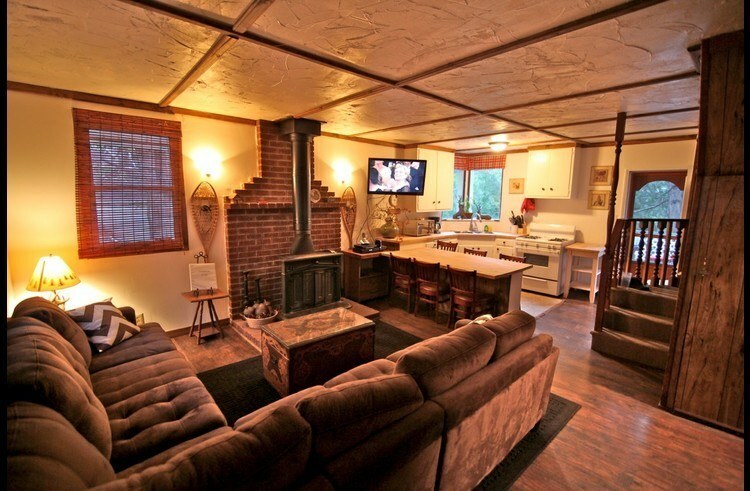 Cabin is very cozy and spacious, definitely recommend for a large group! 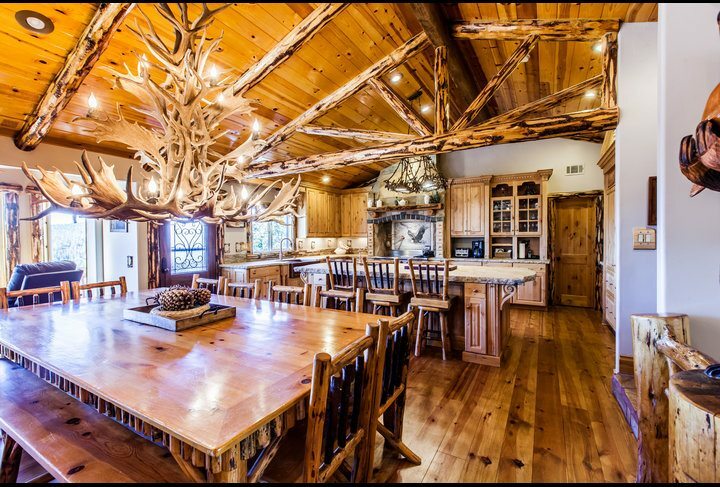 Awesome cabin!!! 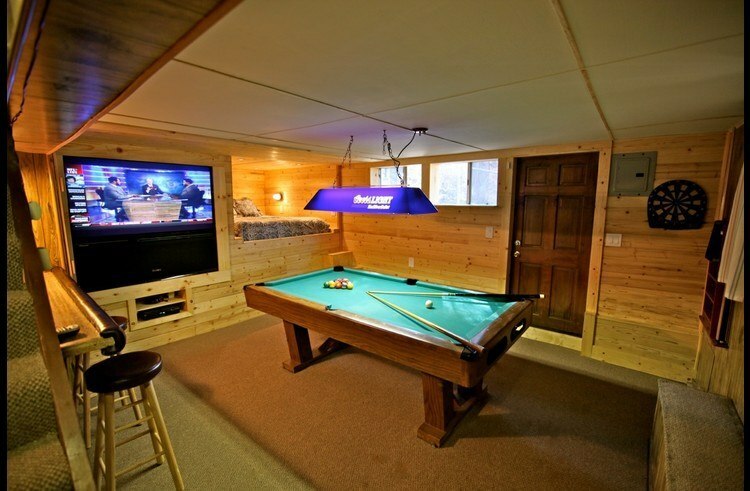 Our family of 7 stayed very comfortably and had a great time in the game room downstairs! The open concept kitchen to living room accommodated us really well too. Great layout and fully fenced in yard! Looking forward to our next stay! This place was amazing! It was really comfortable, well stocked with kitchen supplies that we needed, beds were great, and the back patio was also an amazing additional space to hang out in the day time. Grant also promptly responded to all of our questions. 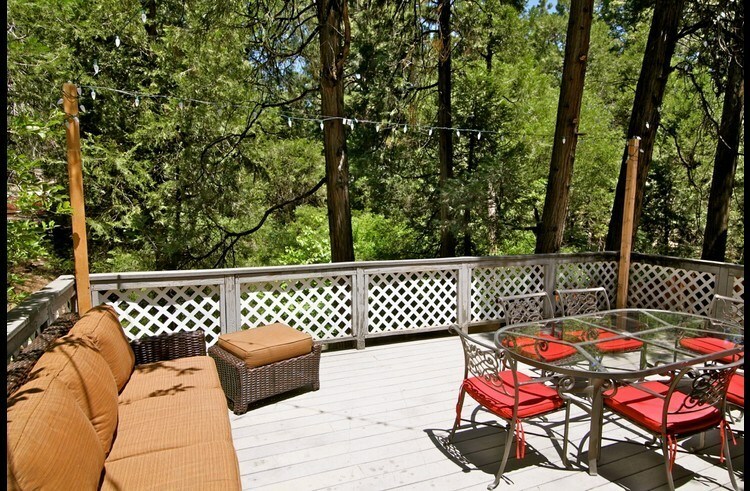 I highly recommend Grant and this property. 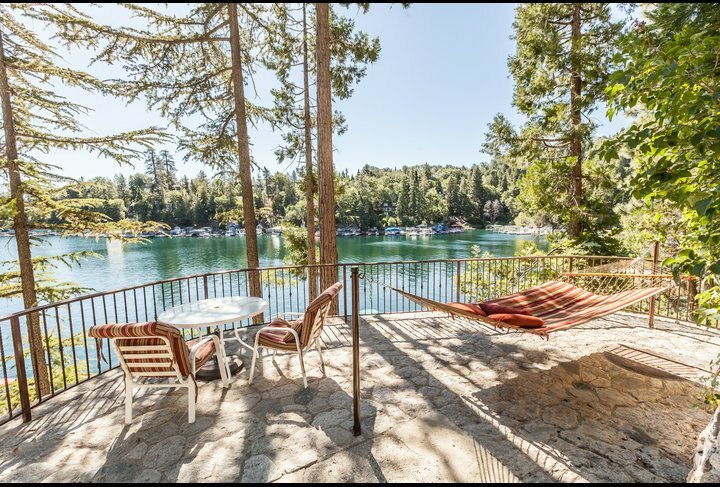 Our Lake Arrowhead trip went perfectly as planned. Host was easy to reach and made the experience simple and enjoyable. 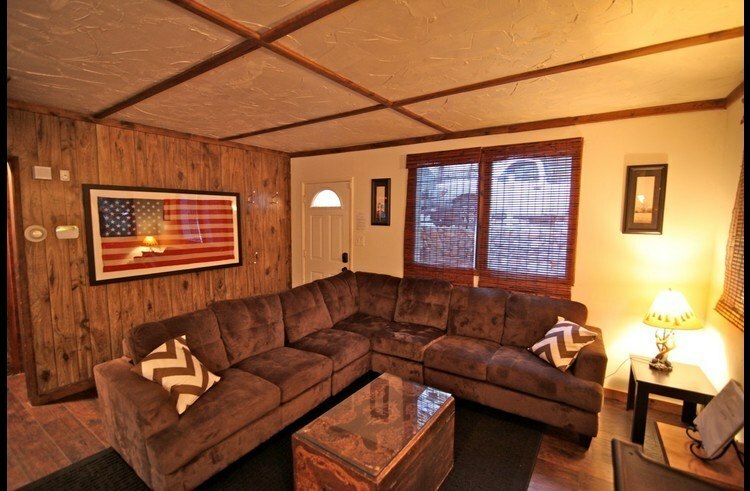 Grant's home is comfortable, relaxing and inviting. A wonderful place for a family to enjoy each other's company. What a great stay! 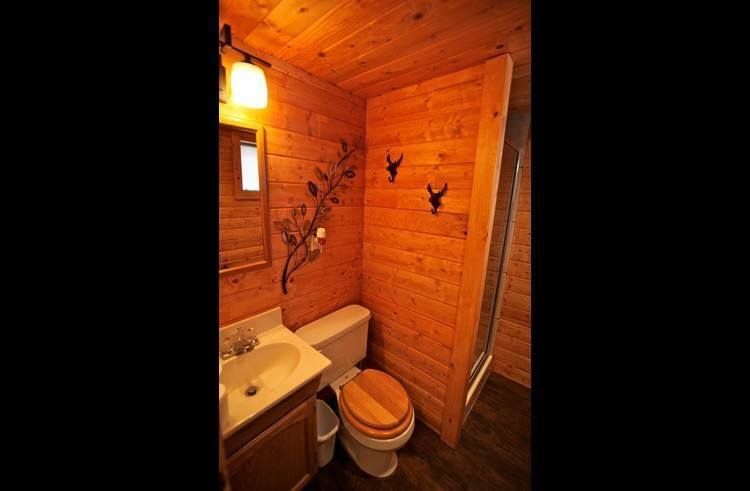 A great Mountain Cabin with a true "in the forest" feel. Renting experience was great and looking forward to renting again!! Trails close by for great hiking and mountain biking. Great experience, great location, great cabin! Very great fun cabin. Had a lot of fun with my friends. I will be coming back in the near future. Exceptional service from the owner, I had left my phone at the cabin and the owner was very nice on letting me know and having me pick it up. Life saver. 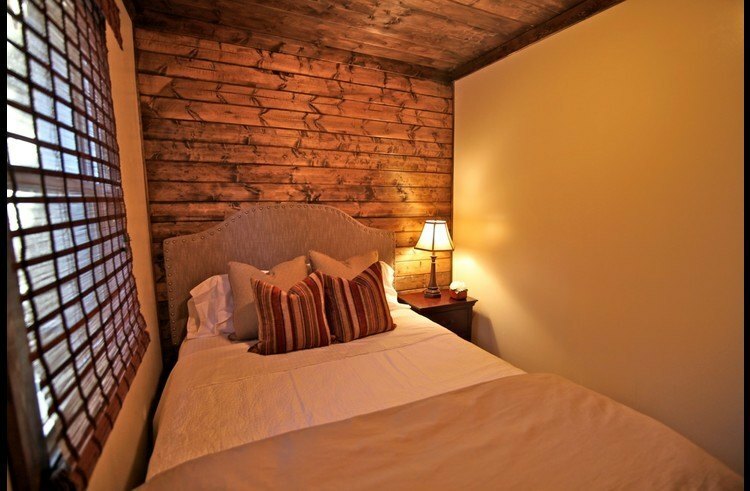 We recently stayed at Creekside Lodge and was happy with this Cabin. 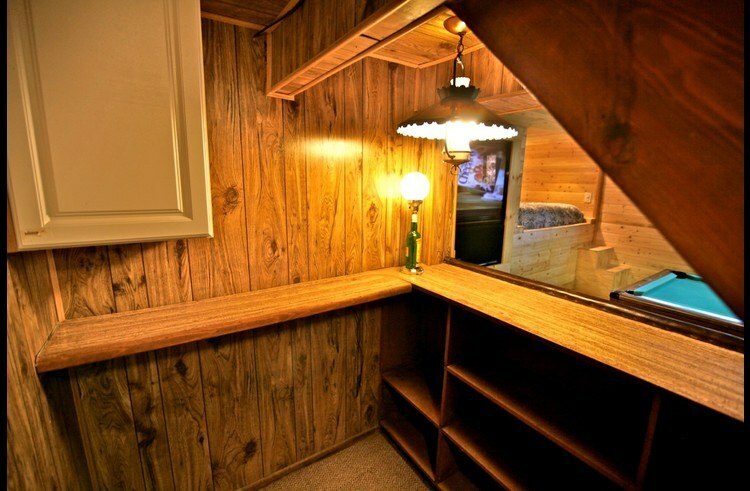 This cabin was 3 stories so it was quite spacious for our group. The wifi and televisions worked well. The pool table had a broken hole on one of the sides, but really was not a big issue when playing. The kitchen was fully stocked with everything we needed to cook all of our meals. The heaters around the house worked great. The fireplace was a little old but still did the job, and it was also nice to have firewood ready to be used. Parking was a little difficult at night because there was not much light and was not easy to navigate through the snow, but if you arrive during the day you should have no problem finding your way. Besides that, we had a nice stay here. Grant was a wonderful host and made the checking in and out process worry-free. Everything was excellent and would like to return as a repeat guest. 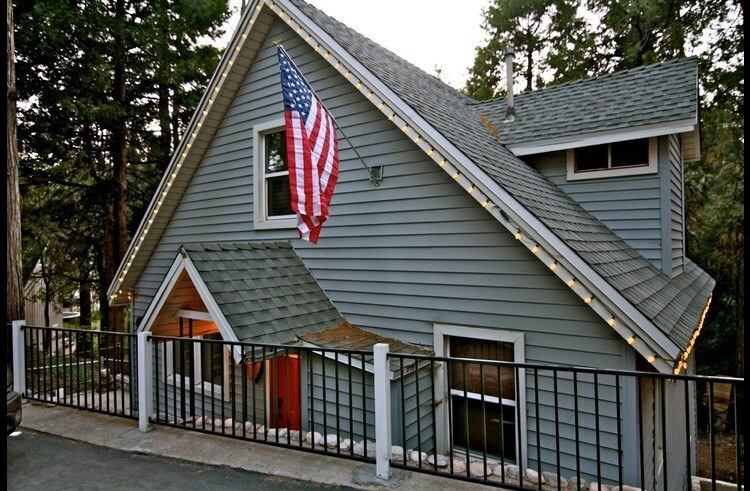 Add Review for Creekside Lodge - 5 bedrooms with a Pool Table!